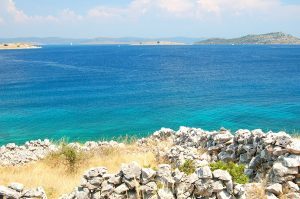 Located in northern Croatia, along the coastline, and considered the hidden jewel of Croatia, the Kornati Islands are a great archipelago to explore while on a crewed yacht charter along the Dalmatian Coast. Also known as the Stormorski Islands, this archipelago is made up of 140 islands, well anchoring the claim that the Croatian coast is the land of 1000 islands. 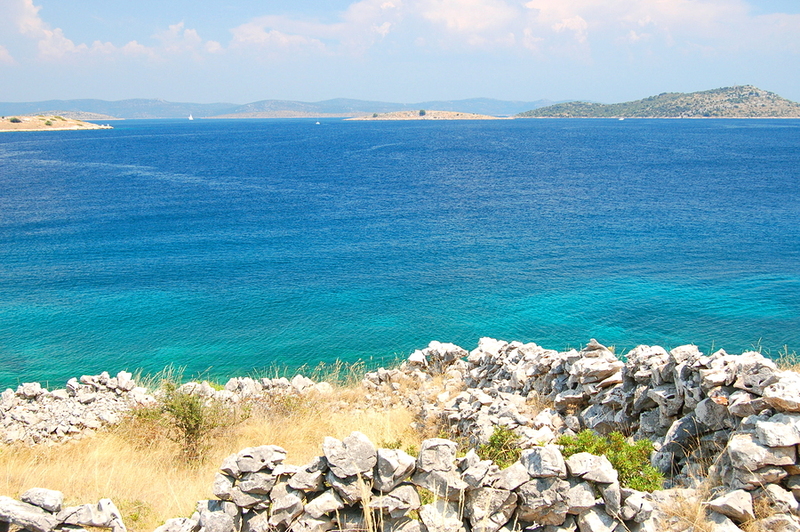 In fact the Kornati Archipelago is the densest group of islands in the Mediterranean Sea. One could spend several weeks within this Archipelago visiting and gunk holing just between these 140 islands while on a crewed yacht charter in Croatia. 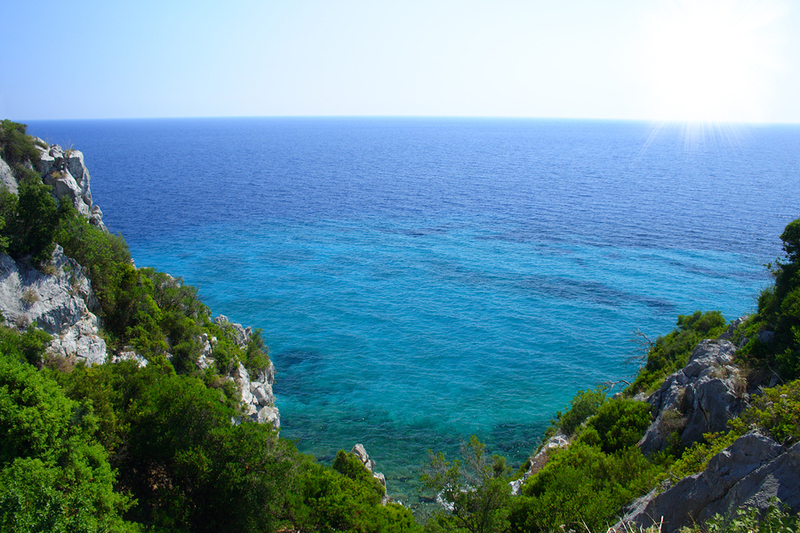 Named after the largest island, Kornat, these Islands are a vast Archipelago covering about 320 kilometers of sea. 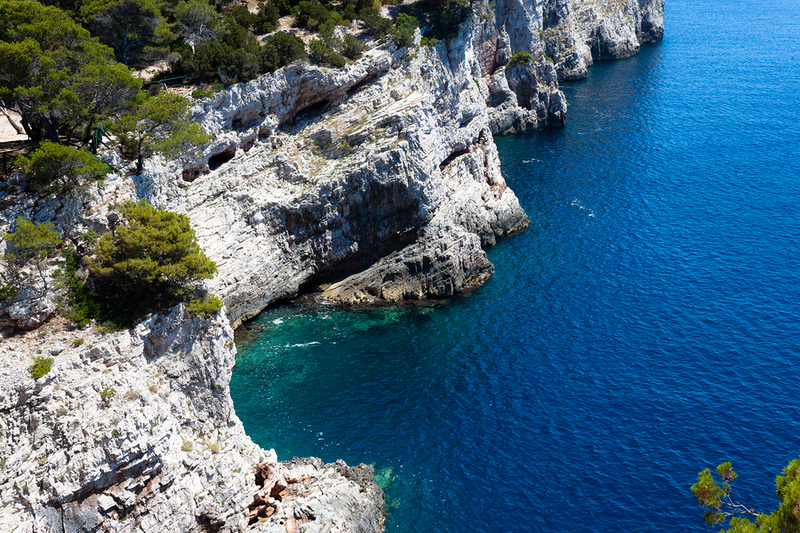 The archipelago is divided geographically into two areas, the Gornji Kornati or Upper Kornati, which are the islands in the northeast and closer to the mainland, and the Donji Kornati or Lower Kornati, which are the islands in the southwest and mainly facing out to sea. In 1980, 89 of the southernmost of the 140 or so islands and bits of land included in the this Archipelago were declared a national park, known now as the, Nacionalni Park Kornati, which was established to protect the islands and their surrounding marine habitats. The national park, in general, is most of the area of Donji Kornati. There are no established towns or villages in the Islands, only little houses here and there used by people from the mainland for fishing or to relax. The Kornati Islands are beautiful, and while today these islands sit in pristine splendor, the islands were inhabited over the many centuries. Left behind today on the various islands are the marks from those civilizations; and in particular are left those of the Roman Empire. There are several archeological digs ongoing today on the islands, and due to the islands being mainly composed of limestone, there are many fossils to be found. In some areas there are groves of olive, and fig trees, and vineyards, along with many herbs growing wild that provide great pollen for the various bees making local honey. Today this area is to be enjoyed for the beautiful crystal clear water and the many little coves and anchorages where you can enjoy your time in almost complete isolation with nature. 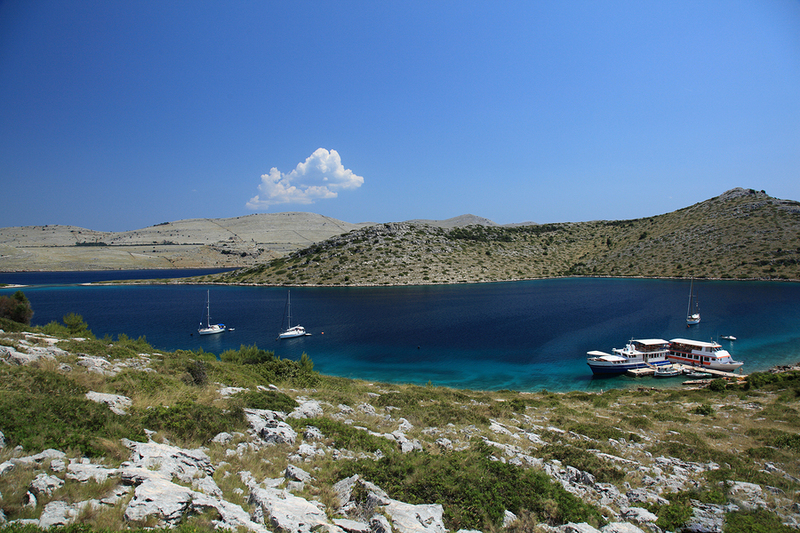 The many islands, coves and anchorages in the Kornati Islands can only be visited by yacht, and so exploring this area on a crewed yacht charter is a unique opportunity to visit a beautiful and virtually untouched area of the world in peace and quiet.